The underwater world is pure magic. Even after almost 20 years of diving and 10,000 dives into the ocean, I’m still totally blown away by the abundance of marine life. As a true pioneer in his country, Sumer Verma tends to raise awareness of the ocean by showing the beauty of biodiversity. 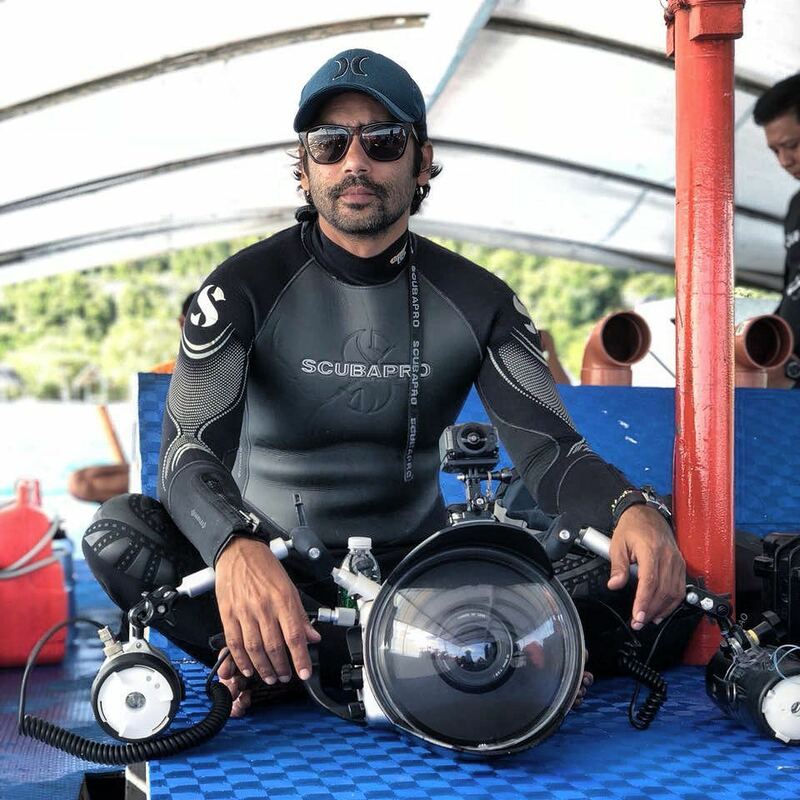 Considered the first underwater photographer and cinematographer in India, Sumer also works as the managing partner at Lacadives India, the country’s first dive centre. 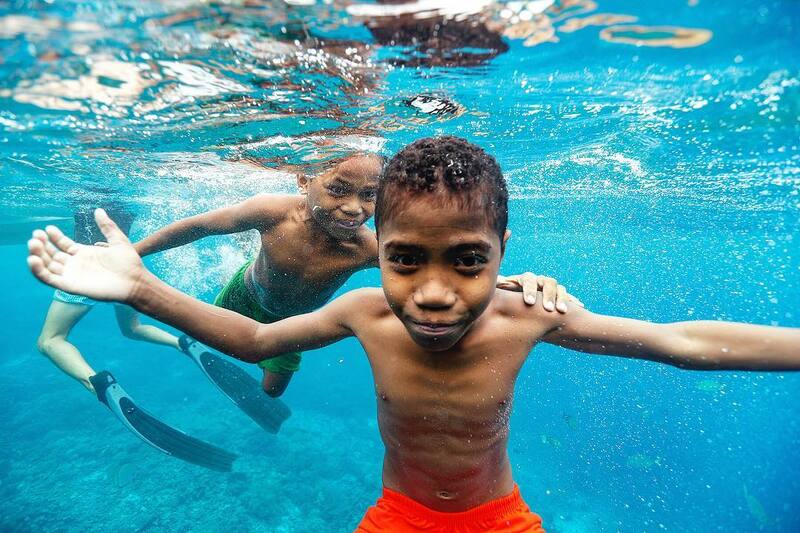 After two decades spent under the surface of our oceans, the 42-years-old photographer dedicates his work to spreading a message to the world and the young generation about the state of our oceans. 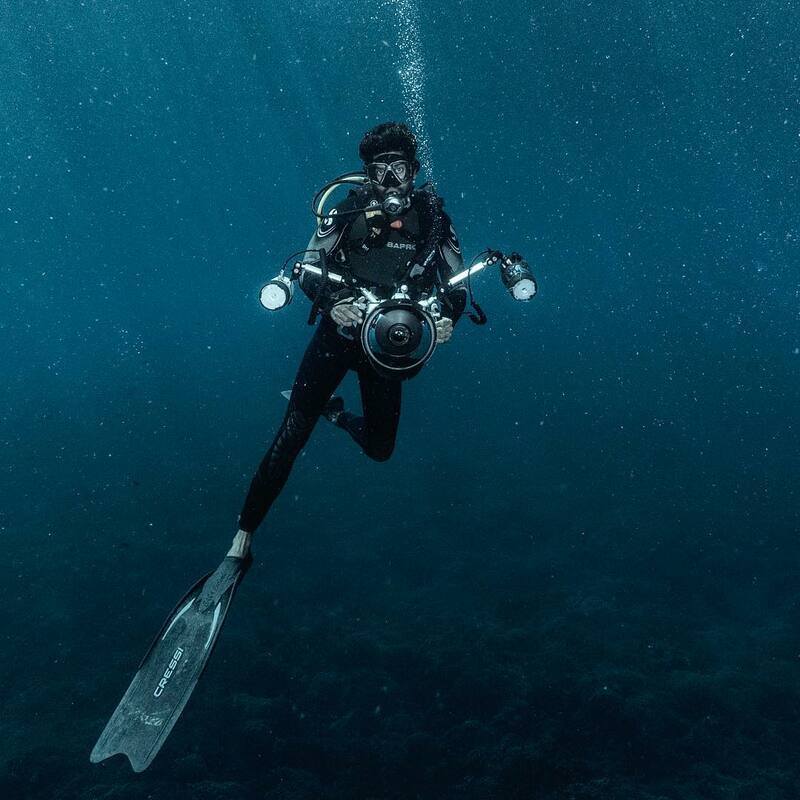 "Even after almost 20 years of diving and 10,000 dives into the ocean, I’m still totally blown away by the abundance of marine life," he says before mentioning the dying reefs and the loss of fish diversity. 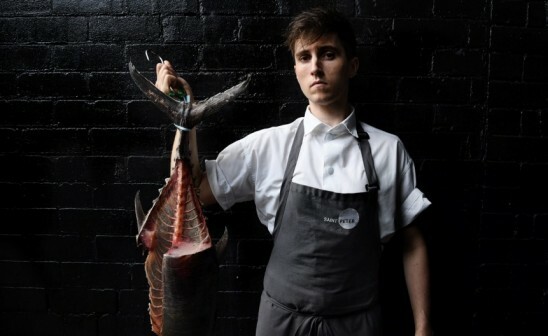 "But the ocean has dramatically changed. The amount of problems is catastrophic now and causes coral damages. Overconsumption, cruelty to animals, shark finning, overfishing for consumption, plastic pollution, pollution based on dumping, global warming… Everything is damaging the ocean. We reached the critical point." 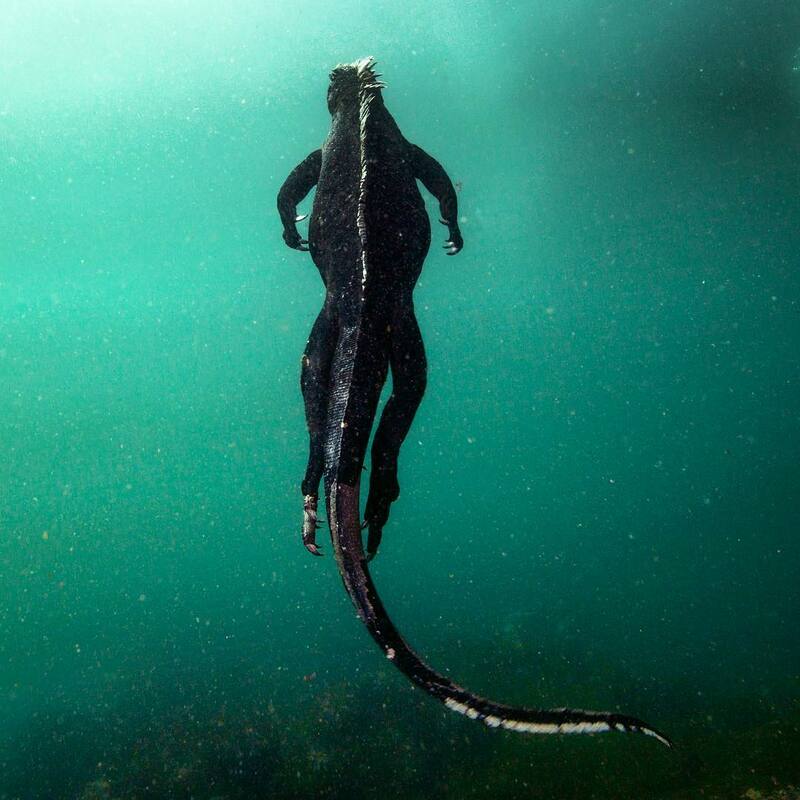 Lately, Panthalassa had a great talk with India’s best-known underwater and marine life photographer Sumer Verma, evoking a few solutions to global warming as education and making marine life documentaries to sensibilize people to the beauty of the planet. Hi Sumer, do you remember your very first scuba diving experience? I was born in Mumbai and after college, back in 1997, I dived for the very first time near Lakshadweep Islands. Before that, I’ve only been swimming. I’ve never done any snorkeling or diving before. Then, on a vacation, I got my scuba diving certification. At age 21, that’s when it all started. 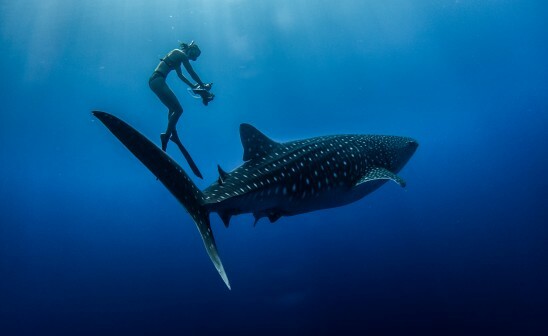 Would you say this transformative trip was the beginning of your passion for the ocean? I used to live in the city so, until then, I wasn’t exposed to any pristine ocean. Mumbai is situated by the coast and we’ve always loved the ocean, we would even go to Goa on beach vacation, however I never really experienced the sea or nature in its pristine form. In 1997, it was the first time I looked into the sea though an eye mask. When I made the trip to Lakshadweep, I’ve been blown away by its white sandy beaches, crystal clear waters, the turquoise lagoons and pines trees all around. I was not expecting that, I’d never seen something like that before, I was not aware that something like that even existed. At least in India! It was a complete positive chock to see how beautiful this area was. The water looked like glass, you could see 20-30m below when underwater. It was amazing to see how clear and clean the ocean could be. That’s how you got naturally introduced to cinematography? From that precise moment, the only thing I had in mind was « I need to live here, I need to do more diving and need to be surrounded by a place like this rather than spend time in the city. » So I took a lot of diving courses. After 50 or 60 dives, I decided to capture my passion through video. At the time, there was no information about underwater photography so it took me a long time to turn myself to photography. I first started video just to capture moving pictures of the ocean, sunsets, turtles and the light. Yes, I slowly realized that being a cinematographer was very difficult, especially with the heavy material. You definitely need a lot of hard discs for example (laughs). And frankly, most of the time, the videos you create are dedicated to Instagram or internet only. So I was collecting a lot of footages but felt there was no way to really use them, or possibly think of a story. I felt it was a very restrictive use. Photography helped me to focus on my work. So, after a few years, I shifted to still cameras and housing. 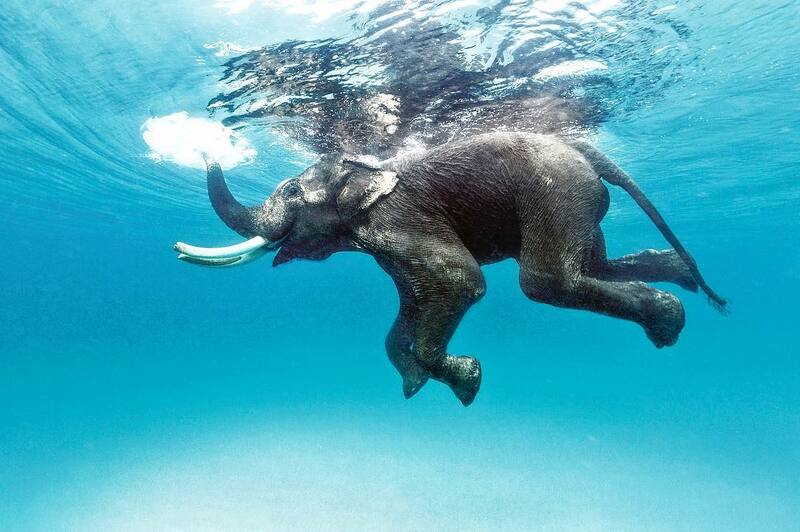 Ten years ago, there wasn’t any underwater photographer in India. Today, I'm glad to see the diving community in India growing a lot. I would say there’re currently 10 digital photographers and housing users in India. There are maybe 100 point-and-shoot camera users doing underwater photography. But at the time, there was nobody doing underwater photography. Today, you're considered the first underwater photographer and cinematographer in India. How does it feel? To be honest, I’m very happy to be able to travel and jump from an assignment to another. Whether it be for music videos or feature films, all my videos are water-related. I have a catalogue of different commercial clients, going from Vogue to surfing publications. Being able to do all theses things is definitely a great feeling because it’s always been a dream to run an independent career. What do you like the most in your job today? Being able to work with passion is what I love the most! Although the last ten years have been pretty intense, when I’m underwater with my camera, I really don’t feel like working. It’s pure pleasure, passion and love. Turning the passion into profession and get paid to do what I love is a great feeling for sure! In a recent interview, you said "What you see on the surface of the ocean is nothing like what’s underneath. It makes you realize just how vast and beautiful it is." How would you describe the underwater world? The underwater world is pure magic. Even after almost 20 years of diving and 10,000 dives into the ocean, I’m still totally blown away by the abundance of marine life. There’s so much life down there! 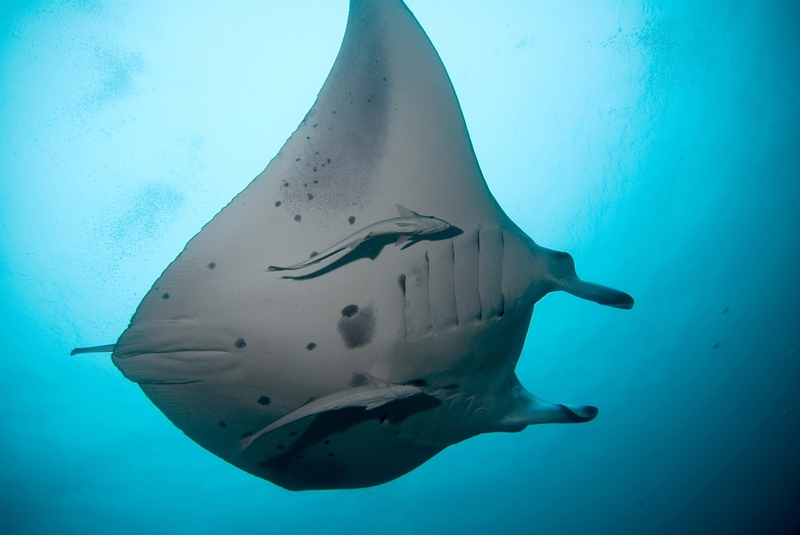 The colors of all the fish, the movement of some larger fish like manta rays or sharks are pure magic. You can’t believe it’s real, it’s so beautiful. You spend most of your time underwater all over the world. Over the years, did you notice a change due to climate change? To be honest, in 10 years, the ocean has dramatically changed. The ocean is getting totally destroyed. In 1996-1997, there was an important coral bleaching, in 1998, El Nino had a huge impact on coral reef. IN 2010, there was another bleaching and another one in 2015. Global warming is the very first factor. Today, despite the apparent pristine clear water on the islands, 90% of the coral reef is bleached. That’s why the fish population is also going down. The amount of problems is catastrophic now and causes coral damages. Overconsumption, cruelty to animals, shark finning, overfishing for consumption, plastic pollution, pollution based on dumping, global warming… Everything is damaging the ocean. We reached the critical point. That’s why you an active member of ReefWatch Marine Conservation, an NGO dedicated to protecting damaged coral reefs. Tell us more about your actions. ReefWatch Marine Conservation is very engaged to educate the youngsters. We try to raise awareness here in India. We’re currently working on a project aimed at pushing consumers to use biodegradable packages. For example, we recently worked closely with restaurants to convince them to use bamboo straws. The movement is on, however you can’t help yourself feeling powerless sometimes because whatever you’re doing, despite your small efforts, the global issue remains huge. According to you, what would be the solutions? We need to raise awareness about the ocean. We’re currently working on a project done through ReefWatch Marine Conservation, in which we encourage more and more sustainable practices in urban areas. Big cities gather millions of people, the problem is real there. We organize beach clean-ups and work on consumption habits with people. We need to make people feel part of it, close to it, and they need to be told what to do. It’s constantly about getting people involved. We work with schools because who can help the world except the next generation? Kids are very positive, open and concerned towards ocean awareness. We keep passing on a message of living in some kind of balance with nature. Individual become very conscious of consumption. We can’t blame other people or blame the government, we need to change our own actions. Recycling and garbage management are an everyday question we need to ask ourselves. We’re part of the problem. So it’s all about educating and inspiring people in a gentle positive way. Today, you're one of the most renowned marine life and wildlife photographer with more than 20 years of experience. What are you the most proud of so far? I started a film project between 98 to 2003. I got a lot of footage in my library and decided to make a film out of it, a project about what’s happening in the area I was based. So we made a film called « Trouble waters » about global warming and its effects in an area so isolated yet so devastated. It reflects what’s going on elsewhere. I won a national award, the best cinematographer and best of the show. It is still a very beautiful moment because the film has been screened in a thousand schools across India, it’s been translated in many languages, and continues to be screened during festivals. Today, there’s not many similar films in India anymore, so still 10 years later, it gives me a lot pride. To me, more than photography, more than articles, films are the most powerful tool that we got to tell stories about the ocean, and show the stack degradation of the ocean. You're a managing partner at Lacadives India, the country first dive centre. You're also currently opening a diving school in The Andaman Islands between India, to the west, and Myanmar. Tell us more about this coming amazing project! Indeed, I'm proud to be a partner at Lacadives India, the centre where I first got introduced to diving 22 years ago. The season is going to start next week so I’ll spend some time with my instructors there. A number of our clients involve schools programmes who come for snorkeling and scuba dives, walks and talks with marine biologists. We also host a number of internships who come to do photography internships for example. We don’t deal with mass tourists but rather with niche clients as we’re situated in a very isolated spot. So we’re lucky to work with very like minded people. We trained more than 10,000 people so far. 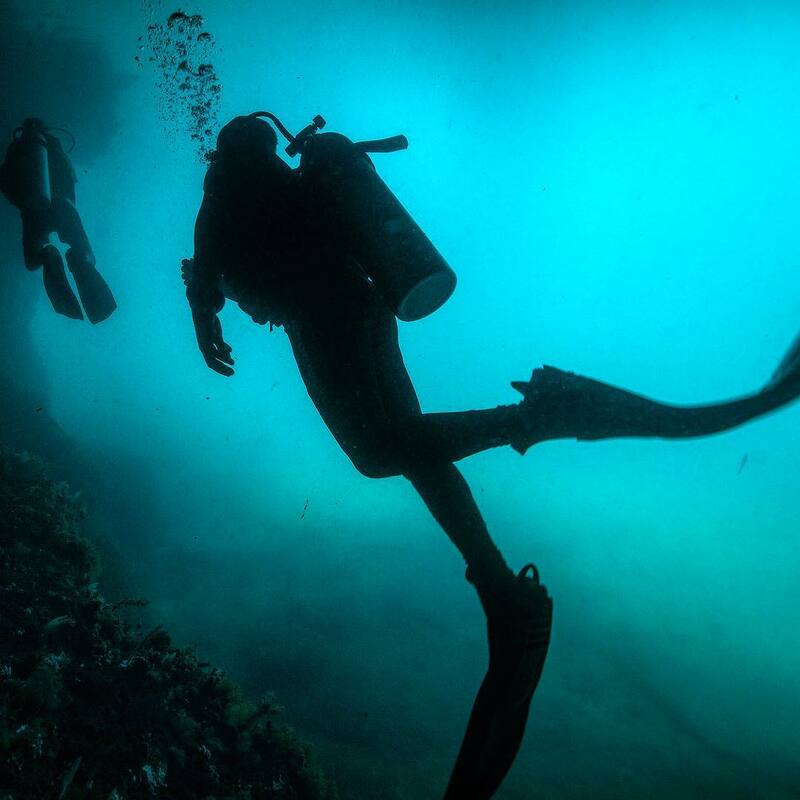 Scuba diving is set to become one of the mainstream adventure sports in India. I have more film projects with Bollywood in November and December. The wildlife is very passion-based. For the moment, the opportunities are very small but through the NGO, we’re getting a lot of good feedbacks concerning the ocean. Keep going, keep going! Follow Sumer Verma's work on his instagram.